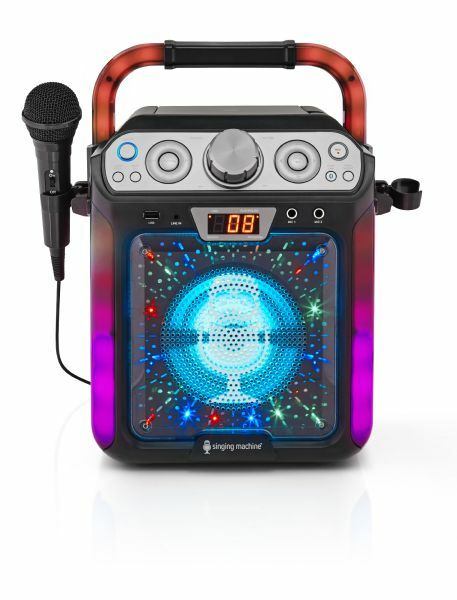 Your party guests will thank you when you turn on this awesome karaoke system packed with awesome features for you to create fun-lasting singable moments. This system lets you play your music CDs and CDGs or stream audio via your Bluetooth compatible devices. Follow the karaoke lyrics on your TV screen via the included RCA cables. Record your voice performances to the integrated USB jack. 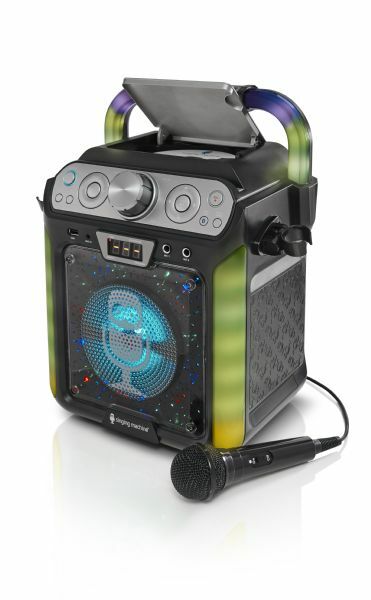 Built with over 40 multi-colored LED lights that synchronize to the music plus speakers in a custom designed cabinet for a crispy sound, you are party-ready at a moment notice! 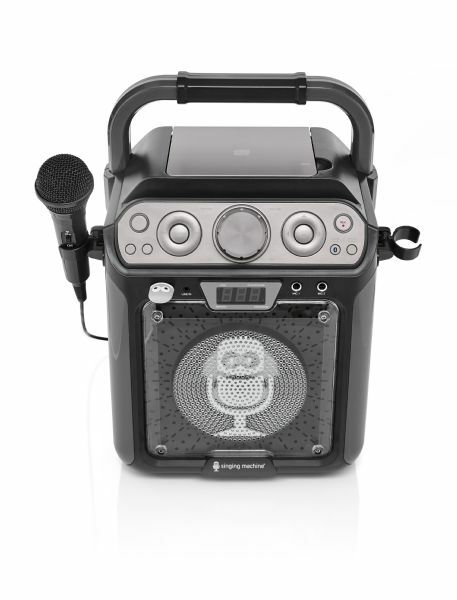 Stream thousands of karaoke songs on demand with the Singing Machine Free Mobile Karaoke *App for iOS devices!